I tried dropping instantaneous speed changes down to half of what they originally were (1200mm/min) when I did my initial Duet conversion. 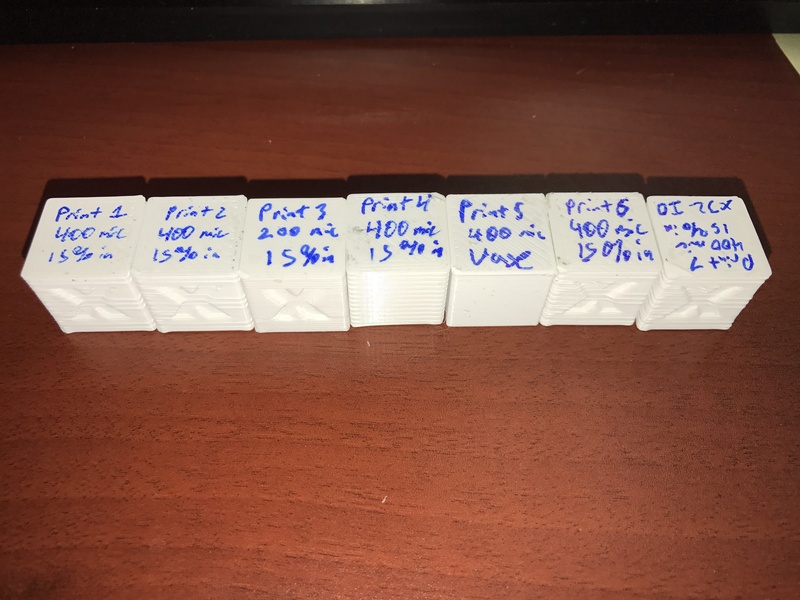 That didn't change the quality of the print at all. Also, the hot end and bed temperature graphs are not showing fluctuation. Watching the numbers on the hot end, I'm seeing a fluctuation of about .5c, so my PID settings are pretty tight and that shouldn't be causing such heavy wobble. Any help/insight into the problem would be greatly appreciated!! Thanks in advance! 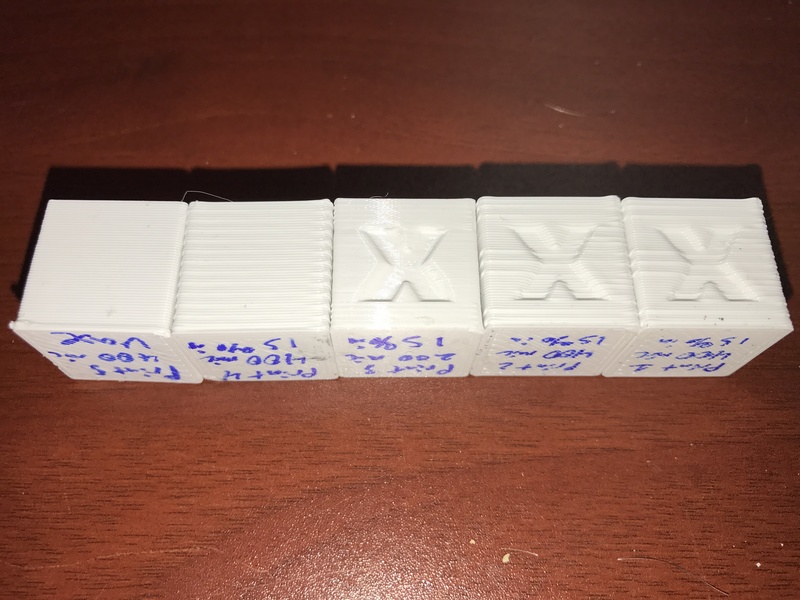 My guess is that the gcode generated by your slicer is printing the perimeter in the reverse direction on some layers, and that is combining with backlash or loose joints to give you the artefacts. Very interesting observation! 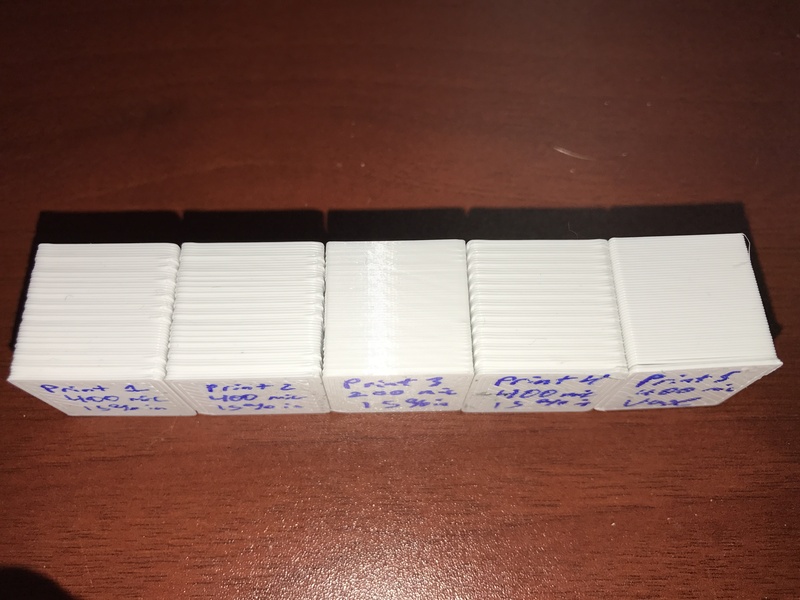 I've tightened everything up (I have been printing a ton lately), so that could definitely be the issue. I'm doing another set of tests now. I'll let you know my findings. Have you watched it while printing to see whether the print direction reverses at the points where you get the Z artefacts? Are you using PWM or bang-bang control on the bed? If you are using bang-bang, try PWM. Sorry, I meant to answer your first question when you first asked it. No reversing at all. It's going counter clockwise the entire time for the perimeter. The bed has always been under PID PWM control and there's very little fluctuation just like the hot end (no pronounced ripple that would indicate incorrect PID settings). So, now we're nearly perfect with Mattercontrol. I'm chalking this up to being a software issue, but what specifically??? 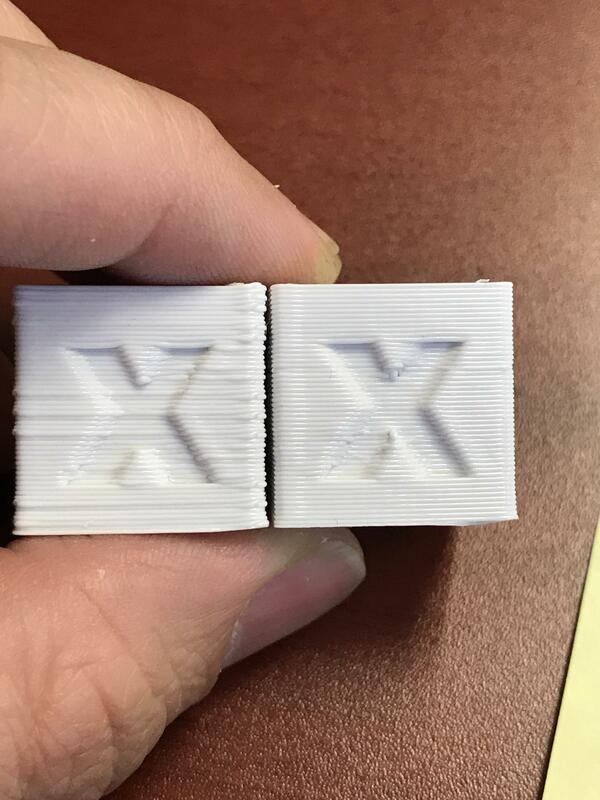 The cube on the left is overextruded, I've seen this recently with titan extruders and their (ahem) slightly variable extrusion. The layers are being displaced as there is insufficient room for them to lie on top of the previous layer and they are getting pushed out. It manifests at the corners for some reason. 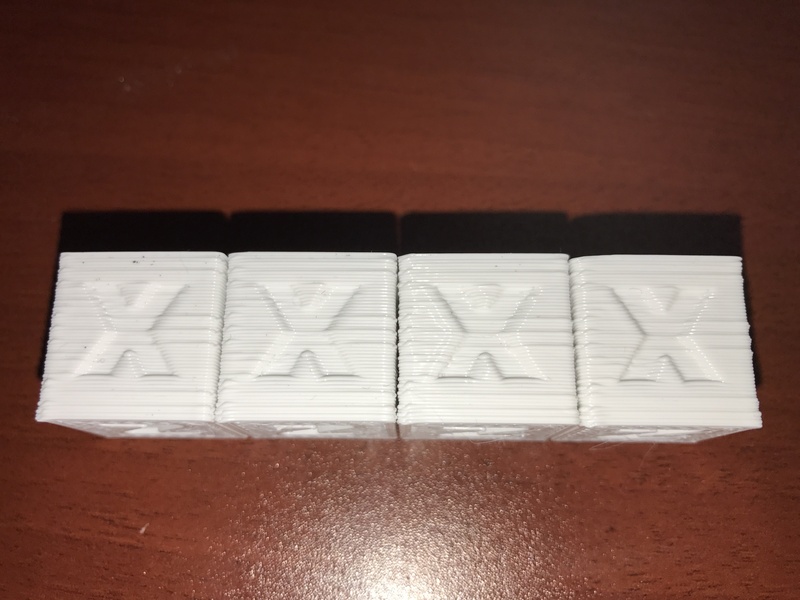 Could be some setting with one slic3r is causing it to overextrude. Looks like in the S3D print it's not always starting at the same corner, and if it's going counter clockwise then its over-extruding at the end of a straight run. 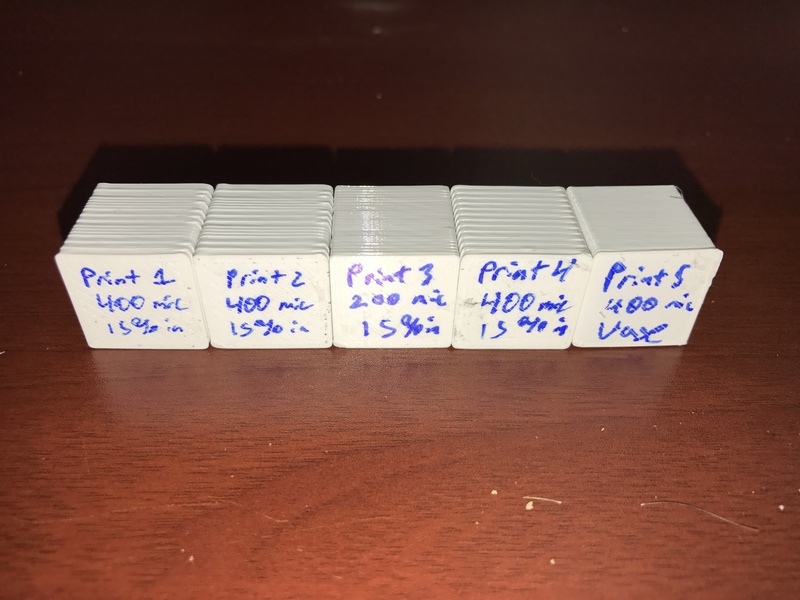 Increasing pressure advance might help, also try printing external perimeters first.